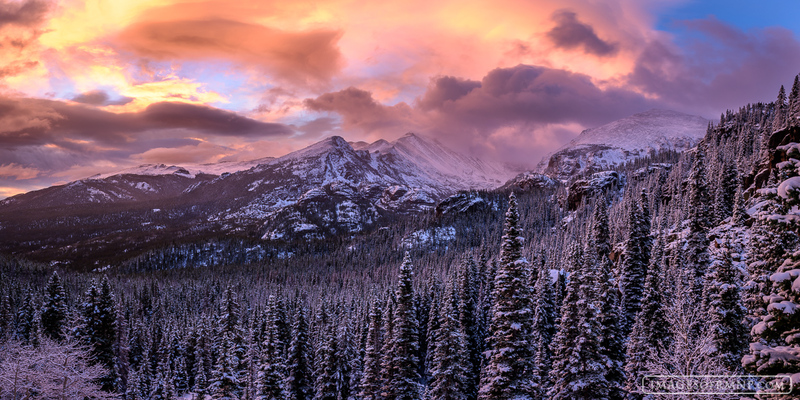 At the end of a beautiful autumn, just as most of the leaves had finally fallen a snowstorm swept into Rocky Mountain National Park coating the world with its white wonder. As the sun rose after the storm it lit the world in red reminding us of the beauty of the winter season. Photo © copyright by Erik Stensland.